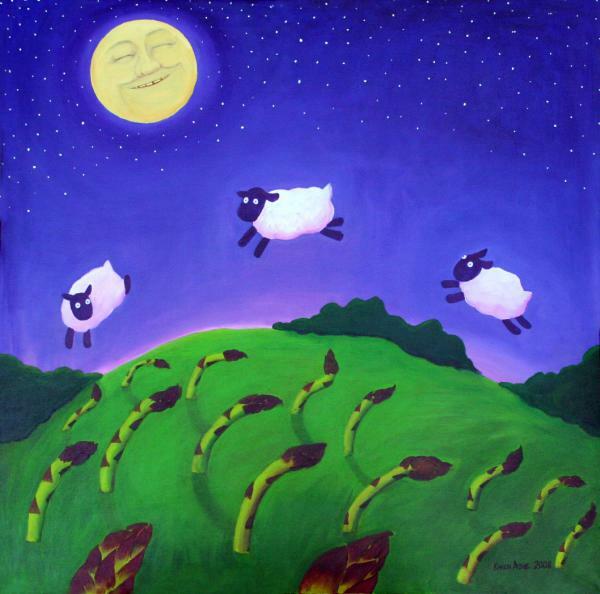 Many of my Facebook friends will have noticed that many nights my last status update of the day relates to counting sheep. It turns out I’m not the only one around who thinks about counting sheep, even if the “sheep” are of a different ilk. The fact is that although total numbers of Churchgoers relate to total numbers of attendances, the two are not, in fact, the same thing. People drop out as well as drop in, so apart from the demographics of an aging population which is not replacing itself, churches are running up a down escalator anyway. Recognizing the distinction, what people characteristically report is that actually more human beings, sometimes many more, are coming to Church. However, the regularity with which they do so collapsed in the nineties (giving rise to rapid decline in many attendance figures), and has become increasingly volatile. Only a very few now come twice a Sunday and every week. I’d love to see some statistical surveys or analysis around this question. Are more people coming to church, but not as often? Certainly in the parish I serve, we see lots of people much less often than weekly. This becomes clear on big days, such as our recently full church on Easter Sunday. We had about triple our average Sunday attendance for our Easter services. Much of that surge were our regular folks, but they all came to church on the same Sunday. This all fits in with social patterns more generally. People are less likely to make commitments of any kind these days. School athletics are the last bastion of full commitment out in the ‘burbs. People will do just about anything to get junior to soccer practice. If junior was scheduled to be an acolyte, we’re lucky to find out we need to find a replacement. Vacations might be scheduled around baseball games, but not around Holy Week. I don’t lay the blame for this solely at the feet of congregants. Their clergy have not offered a compelling vision of church life. To put it another way, the “abundant life” that has been taught in church is not as compelling as the abundance that’s experienced on the football field, or at the mall for that matter. For a generation or more, the message from pulpits has been “I’m OK, you’re OK”. Who needs redemption, if life is A-OK? Maybe there’s an upside to all this. Without habitual attendance, you find out what value people place on church. If it’s not seen as important, then people don’t show up. That offers clear feedback on how compelling one’s proclamation of the Gospel is. The problem is deeply rooted in all sorts of complex factors true in American (and British) culture. I don’t pretend to understand them. However, I can say that church attendance is not the only thing suffering in all this. Clergy need to stop supporting poor choices. When someone says, “I won’t be in church next week because I have to be at hang-gliding class”, it is not helpful to say, “Oh, that’s fine. Have a great time!” Maybe a gentle, “Hmm. Were there no classes on Saturday?” or “Well, that’s your choice. We’ll miss you.” These things must be said lovingly and without the desire to impart guilt, but the truth must be told. Quite to the point: we’d better be clear about why we’re doing all this. If we gather on Sundays to prop up an institution, then the church is doomed and people are right to boycott. However, if we gather to proclaim the death and resurrection of Jesus Christ and the hope of eternal, abundant life — if we do that sincerely and with excellence — then people might just show up. It might be so good they’d schedule soccer around church. Imagine that! Back to Bishop Alan’s point. If his hunch is right, that sends a subtly different message to church leaders than mere decline. Perhaps it’s not that people aren’t coming to church, as we so often hear. It’s that their encounters when they do show up aren’t compelling. That’s different in important ways. We need to get to the bottom of that. I think he might be right. Certainly, when sit in a coffee shop (as I do regularly, and not always in clerical garb), I always hear people talking about God. 100% of the time. That suggests that there’s strong interest in God, that people have a yearning. Alas, too often the church can’t be bothered to shake out of old habits. We want people to come to us on our terms. So let’s count our sheep. Let’s make sure we’re counting all of them. And let’s figure out why some of them prefer to graze elsewhere, when our grass is pretty fantastically green. An unfortunate part of a sporadic attendance pattern is that I am never quite certain if the people are missing from church because there is something unfortunate going on in their lives. If I know that is the case, I can try to reach out and help. If people who attend church every week suddenly are missing on Sundays, I become concerned immediately and can make a phone call…. Answer: My bounded duty is to follow Christ, to worship God every Sunday in his Church; and to work and pray and give for the spread of his kingdom. Question: What is the ministry of the laity? Answer: The ministry of lay persons is to represent Christ and his Church; to bear witness to him wherever they may be; and, according to the gifts given them, to cary on Christ’s work of reconciliation in the world; and to take thier place in the life, worship, and governance of the Church. Somehow, I think that ’28 book carried a bit stronger language to it, but I guess “life, worship, and governance” (1979) could be equated with attendance as well. Sport’s teams have no problem with requirements such as attendance at practices in order to play, etc…. I agree with you Scott, maybe we in the Church let people who choose not to attend because of other committments, “off the hook” just a bit too comfortably! My blog posts are OK and your blog posts are OK.
Fr. Scott, you are right. Just being OK isn’t compelling enough to be half-bothered to go read them. My blog posts are abundantly good and your blog posts are abundantly good. Maybe that is why Jesus said something about life more abundantly, not just an OK life? I was a kid in the 1960s. (I was in my fourth grade class waiting to go to lunch when we found out President Kennedy was shot.) Growing up, I got to hear the “I’m OK” stuff, along with “God is dead.” I don’t remember hearing anyone ever counter just being OK with living an abundantly fabulous life. Well, maybe suggesting one lives a fabulous life could have carried some double-meaning baggage, even then? But, you know what I mean. I was sorely disappointed that my choices for taking Motorcycle Safety Foundation courses (beginner and experienced) required donating a Sunday morning. I couldn’t even slip in an 8:00 am minimalistic Eucharist somewhere, because classes started at 8:30 (if I remember correctly). The correct word is disappointed, not guilty. Something was missing from my life because I did something to save my life. My preparations, observations, and reaction to a situation that resulted in being only rear-ended on I-90 back in 2007 (instead of being run over) proved I did something to save my life the weekends I took the beginners and experienced rider courses. At least I let my rector know where I was going to be those Sunday mornings. Are other people so directed? I’ve changed my point of view from not laying blame solely on the congregation to not laying ANY blame on the congregation–and that’s because I’ve become one of them. One thing that has been an eye-opener for me in being non-parochial clergy is understanding what a great gift parishioners are giving us every time they go to church on a Sunday morning. Not God, not the church, but us professional church-types. It’s been humbling, I tell you. I cannot tell you how many times I have draaaaged myself to church and wondered whether it was worth my time. And I wondered how many times I hadn’t made it worth people’s time. I’ve become very sympathetic to 8:00’ers. I hear myself saying that I just want to get church over with so I can have the rest of the day. For me, it has nothing to do with “the culture.” When I don’t go to church, it’s not because I’m doing something else; it’s because, as you remark above, there is no compelling reason to go. God knows I’m committed to the church, but when services are a slog and preaching is bad, it is really all I can do to get myself there. It’s true that clergy should not support poor choices; but perhaps those “poor choices” are like the girl who can’t go on a date because she has to wash her hair that night. Maybe we need to hear that as feedback that we need improvement rather than that the congregation has its priorities backwards. I know that there are people whose priorities simply are in the wrong place, true enough. But I’ve changed my own perspective and now believe the bulk of the responsibility should be on us making church worth the effort rather than on “them” understanding it is important. I’m a layman, and I think that lots of Episcopal priests don’t expect nearly enough of or from the laity. And as a teacher, I know that low expectations are rarely the golden road to good things. It is interesting to think about people who will move heaven and earth to be at their kids’ soccer game … or who will organize their lives to be in front of the TV to watch the latest episode of “Glee” or “Dancing with the Stars” … but won’t make the same commitment/exert the same effort to be in the pew on Sunday. If John or Jane isn’t here on any given Sunday, okay, that’s one person missing … but it’s also a hole in the fabric of the faith community (or maybe they were never woven into that fabric in the first place). I don’t have an answer to the question of why church comes in second or third place on some people’s hierarchy of where to be on Sunday morning, but I think we have to acknowledge that whatever we’re selling, or however we’re selling it, they’re not buying, or they’re not regular customers, and dig into that. Previous story Happy tax day!